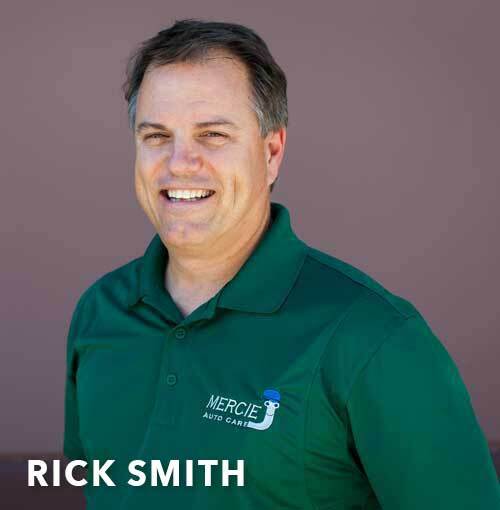 In 1995 Rick Smith, a respected certified master technician, struck out on his own after 12 years of General Motors and Nissan dealership experience. Out of all the technicians he worked with over the years, one stood out – Michael Glandon. The timing was finally right in 2001 and Michael agreed to work for Rick. In 2006, a partnership was formed between the Smith and Glandon families. As certified master technicians we continually update training, equipment, and procedures. As craftsmen, a very high level of importance is placed on cleanliness, professionalism, and doing the best quality job possible. As men of faith, the treatment of individuals is paramount. Employees, vendors, and of course clients, must be treated with respect, kindness, and integrity. Business operations and policy are based on biblical principals. Bosses push, leaders pull. At Mercie J there is no need to force the employees to do what’s right. 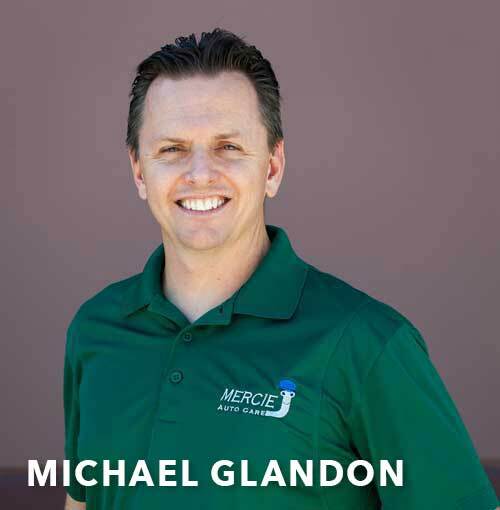 Every person on staff is fully on board with the vision of Mercie J and follows the leadership that Michael and Rick provide. 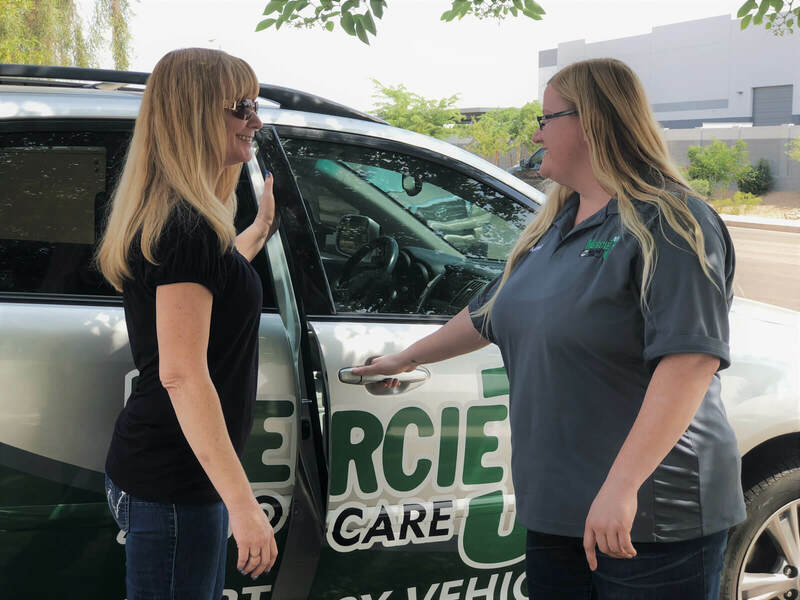 Before making any decision, all of us at Mercie J ask 3 questions, “Is it good for the car, is it good for the client, and is it good for the company?” If the answer to all three “C’s” is yes, then we’re good to go, if not, then we need to come up with a solution. So whether you deal with an owner or an employee, you will receive the same level of service with the ultimate goal of serving you for life. Our technical staff has 70 years of combined experience servicing most makes and models both import and domestic. We have a reputation for diagnosing the most difficult issues as well as performing top quality scheduled maintenance. 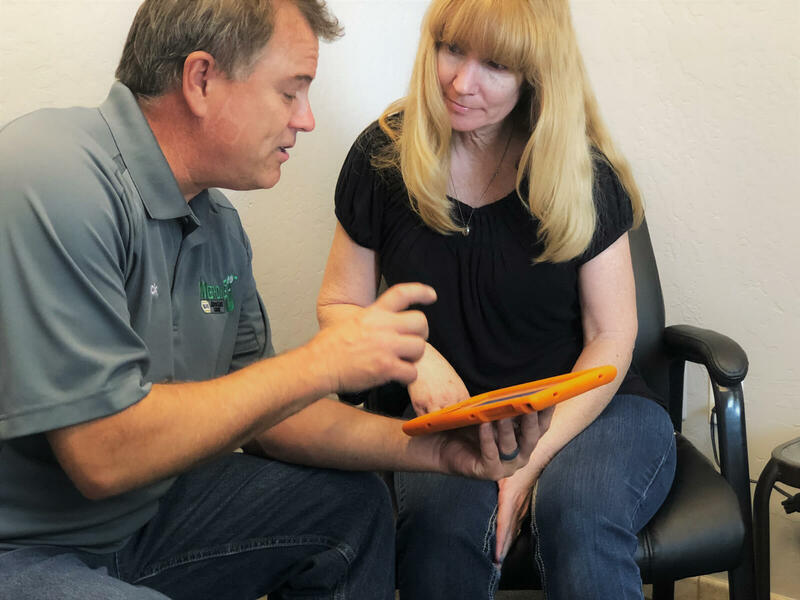 Our counter staff has more than 60 years of combined experience giving solid consultation to help you make the most informed decisions possible. At Mercie J Auto Care, our number one goal is complete customer satisfaction. Every day, with every customer, we focus on providing high-quality auto repair services coupled with top-notch customer service. With countless 5-star reviews and customer testimonials, we are proud of our reputation as one of the Mesa area's most trustworthy auto repair shops. We provide two-year parts and labor warranty on all services with a 2 year Nationwide parts and labor warranty on most services. Mercie J Auto Care is pleased to offer a wide variety of the most commonly requested auto maintenance and auto repair services, specializing in Brake Services. If you're looking for a local auto repair shop that you can trust, consider Mercie J Auto Care. 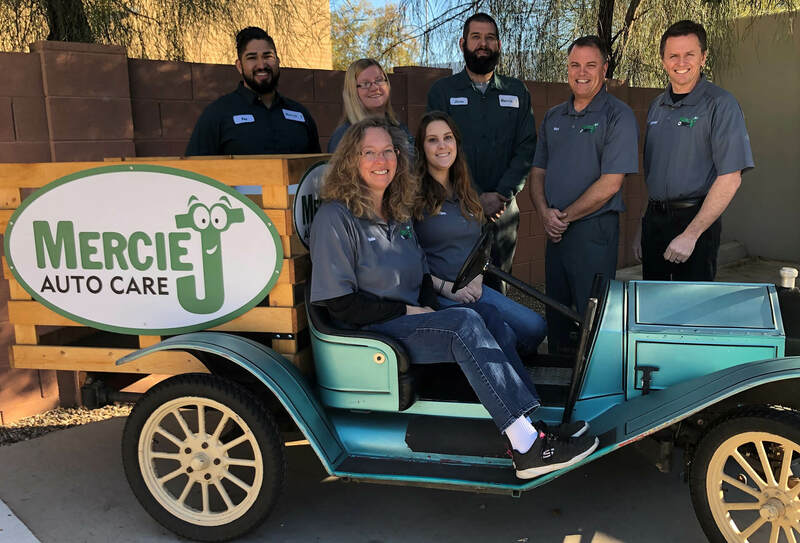 Ever since 1995, Mercie J Auto Care has been providing our friends and neighbors in Mesa with dependable, trustworthy auto repair services. 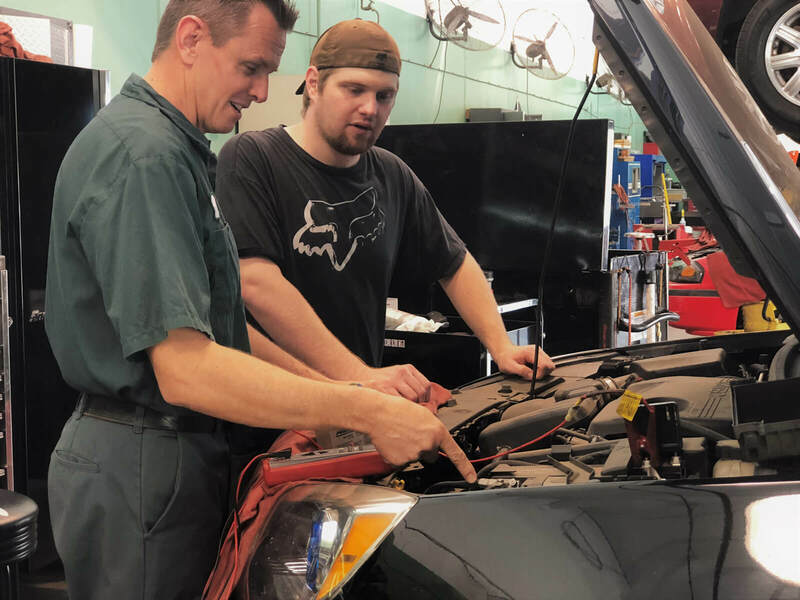 Whether your vehicle needs a minor tune-up to a major overhaul, our trained service technicians are skilled at quickly diagnosing and pinpointing solutions to problems, saving you valuable time and money. Looking for an affordable alternative to the high auto repair service pricing at the local dealership? Mercie J Auto Care can help. 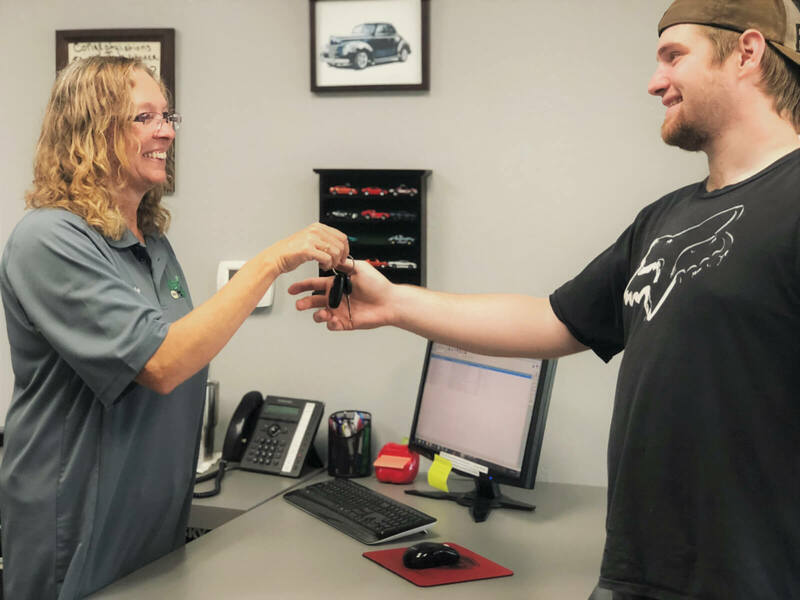 Owned by an ASE Certified Master Technician and supported by a team of ASE certified mechanics who receive ongoing training in automotive technology and auto repair services, we're proud to be able to offer you dealership quality knowledge and experience without dealership pricing! Cutting-Edge Technology and Real-World Experience Get You Back on the Road Faster. Our team of technicians is up to date on the latest automotive technology and has professional, hands-on experience working with both foreign and domestic vehicles. We use the most current diagnostic equipment available including original factory equipment, meaning that we can more quickly uncover the problem and begin working on the solution. Combining cutting-edge technology with real-world experience, our technicians are able to get your car back on the road in less time than it takes other shops to simply figure out what's wrong! We invite you to take a look around our website and learn a bit more about our auto repair shop and what we do. Read some of the testimonials from some of our many happy customers, or find out more information on some of our auto repair specialties. Call or email us to inquire about how we can help with your specific automobile concern. And if you're in the Mesa area, feel free to stop by the shop and say hello, even if you aren't currently in need of auto repair or maintenance services. We'd be delighted to introduce ourselves, show you around the facility and answer any questions you may have about our business and our services.